If you’re thinking about buying multifamily real estate or investing in apartment buildings, this post is for you. It’s also a great resource for the seasoned real estate investor. It is full of tips and free resources to assist you in studying real estate markets and it will help you stay on top of the latest apartment investing industry news. There are some good resources online for free local apartment market data. Multifamily lenders such as Red Capital Group offer free research reports and commercial real estate valuation firms such as Integra Realty Resources also have free reports on local and national apartment markets (download the IRR Viewpoint). The IRR Viewpoint is a great report. You can also go back in time by downloading their earlier issues—a good tool for viewing the historical data of a market. These reports may be free, but they are full of valuable information. You’ll also find free local and national apartment market reports at most large commercial real estate brokerages firms such as Marcus & Millichap, Grubb & Ellis, and CB Richard Ellis. All of these reports include information on cap rates; vacancy rates; employment; new construction and apartment unit inventory; housing and demographics; rents and capital markets (and more). Many real estate brokers, property sellers and commercial advisory firms often base their data on profomas rather than on real, current data. They may present an optimistic view of their markets and properties. So verify your information from multiple sources. It’s worth checking out LoopNet while doing your research. This is the biggest online resource for multifamily and apartment building listings—it’s similar to the MLS for single-family properties. But, again, most of the info is inflated as it is coming from the listing brokers or the property owners. There are many ways to use online commercial listing services like LoopNet to your advantage—especially if you are a new investor looking to buy multifamily properties or apartment buildings. 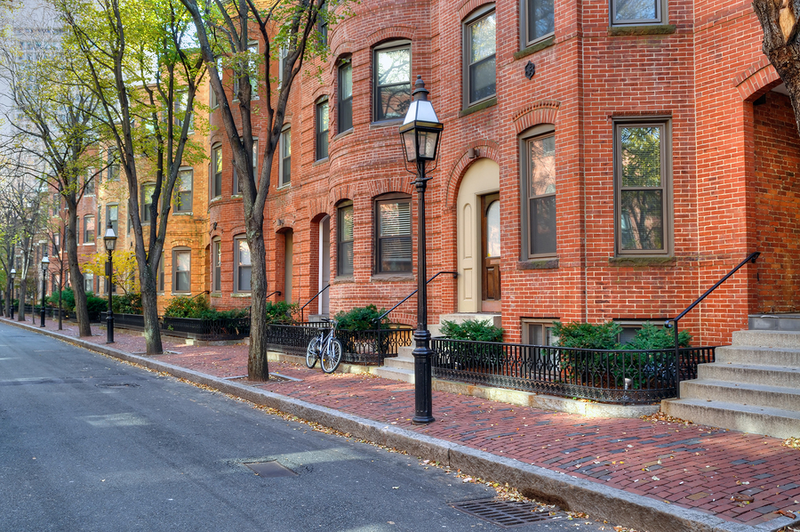 Read: Using Apartment Building and Multifamily Property Listing Services to Your Advantage. I’m not saying do not hire a local commercial real estate broker. I work with several excellent brokers. But as an entrepreneur and real estate investor you need to lead your team. In order to do that you need to know and study your business. Before buying your first property, educate yourself on buying apartment buildings. I read everything I can on multifamily investing. The following apartment industry magazines are free and can be delivered to your door or read online. Apartment Finance Today is an excellent magazine. This publication will keep you current on the financial markets. Multi-housing News is a magazine that covers markets, trends, finance, credit and other areas of interest to multifamily investors. Multifamily Executive Magazine has news and business strategies for apartment owners, managers, and developers. You’ve heard the line “location, location, location”—the three most important factors in buying real estate. Location holds the key when you’re talking about real estate value. You can buy a cheap property in a dead market—and it’s still a dead market. It doesn’t matter how cheap the property was, you did not make a good investment if you buy a property in a poor location. The “millionaire maker” multifamily, or apartment, markets are those where jobs are coming to the area, the oversupply is used up, the rents are starting to increase and the market is beginning to appreciate. Do you know what the job growth and employment outlook are for your target area? How about apartment demand? Is the oversupply used up? Are rents on the increase? Do you know what the average vacancy rates are for your market? Good sources of information for specific areas on housing, the economy, cost of living, demographics and more are Sperling’s Best Places, the Bureau of Labor Statistics and the Census Bureau. Craig’s List, Zillow and Rent.com will give you an idea for supply and demand for a particular area. You can research rental rates, volume of listings and competition for a particular submarket. Look for concessions such as free rent, free utilities, no deposits required, etc. If you find a lot of concessions they are having trouble filling vacancies. A word of caution on real estate “market research.” It is critical to drill down to submarkets when doing your research. Just wanted to say thanks for this post, some realy good info here. I’m just getting started investing in multifamily real estate and since I’m on an extremely limited budget I need ALL the free info I can get, can’t afford one of those courses, kits, books, systems, or boot camps all the gurus and infoprenures are selling. Like you said however there’s lots of free info out on the internet, it just takes a whole lot of time and patience to find it. Figuring out what ya have to look for/learn in the first place, not just the generalities but the specifics, of exactly step by step ‘ what to ‘ and ‘ how to ‘ for free…. Not so easy. One little piece here another there, ya just have to wade through the garbage and put up with all the sales pitches to get it. None of that in this post,just plain good advice and solid info as well. Thanks again, another little piece for me ! Thanks for your comment and congratulations on your decision to invest in multifamily real estate. I think it’s great that you are on the internet seeking education for this real estate niche market and I’m glad I could help. Have you connected with anyone with experience in this area by way of a mentor or a group of like minded investors? I’ve posted numerous articles on this blog about finding a mentor and also about forming mastermind groups — both could be a tremendous asset to you as you get started. Thanks again for your comment and best wishes to you. Wow this is an amazing article!!! Great information! I’m 29 and looking to invest in my first apartment building but I have no money and bad credit. I lost my job and foreclosed on my house. I would greatly appreciate it if you can give me some ideas on how to buy an apartment buidling with no money down. Thank you! You need money to grow your business (buy real estate)? Think about each of these possibilities and brainstorm with some friends. I’d love to hear your ideas! Thank you for directing me to this post. I love the wealth of resources you provided. Gonna check some of that stuff for sure. I’m ready to buy commercial apt bldg yesterday. I’m bookmarking your post in my new apt bldng folder! Hi Theresa, great information about researching the internet for free information and doing your own due diligence, I own single family real estate, but my desire is to own a 50 unit apartment building, so your site is right on time for me. I have invested so much money into these real estate courses and none have bought me good success, so i think i have to do it on my own, thanks for your insight and resources. Hi Theresa, My wife and I own a couple of income homes but are trying to purchase an exceptional 7 unit building with exceptional cash flow and a good projected future upside in a super location, location, location, ! We are having a very hard time finding financing in this price range which is 350K. It falls below many of the 500k minimum limits for commercial lenders and above the number of units for local lending banks that do residential or only up to 4 units. We do have this under contract and are running out of time fast, if you have any contacts or scuggestions you could em to us we would truly appreciate it! Thank you for your input and or assistance. Real estate investments are a great source of income, it can make a person wealthy in a very short period of time but research and study are the ideal way for starting any kind of new business that will create huge profits.These tips are great and very useful for making a good profits in real estate. Investing takes a great amount of research, and I would expect you as a home buyers to do your homework before going out and buying any property! When you invest in an apartment building, you have the ability to hire someone to manage the property for you. You, as owner of the property, can enjoy all of the benefits of owning the property, while others put in the effort and the work to keep it running effectively and smoothly. While hiring others to manage your property can help to save you time, the ease of having all of your units in one place can also be very efficient. There are some really great tips and really useful resources here, thanks so much for sharing! Thank you! It’s our pleasure.